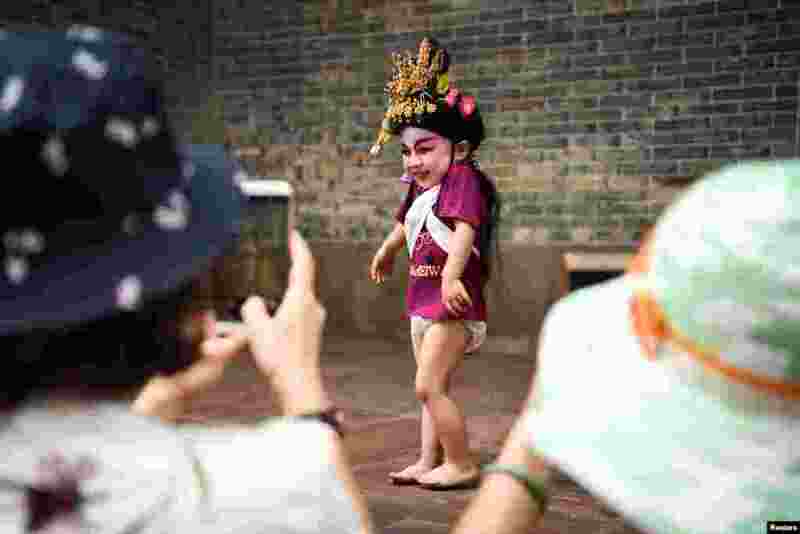 ١ Visitors take photos of a child dressed in a traditional costume before a folk performance in Panyu, Guangdong province, China. 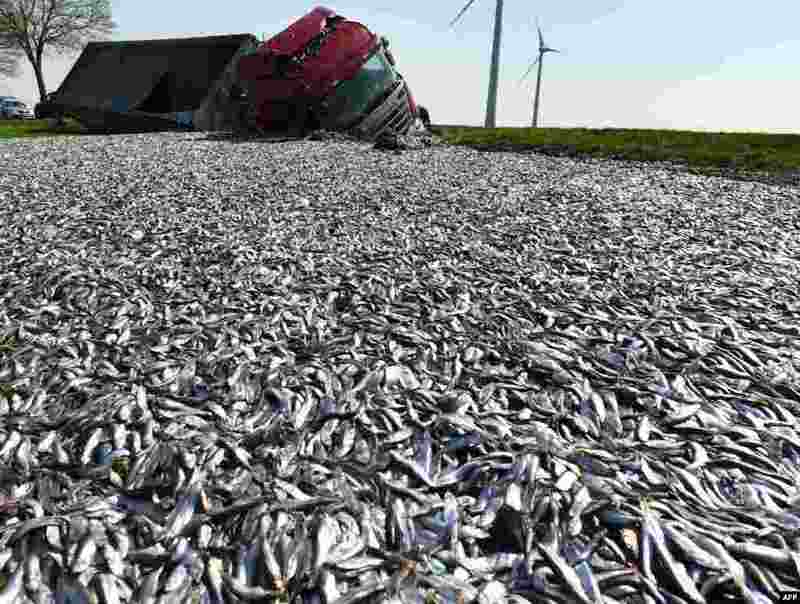 ٢ A truck transporting 20 tons of fish lost its load after crashing on a road near Liepen, eastern Germany. 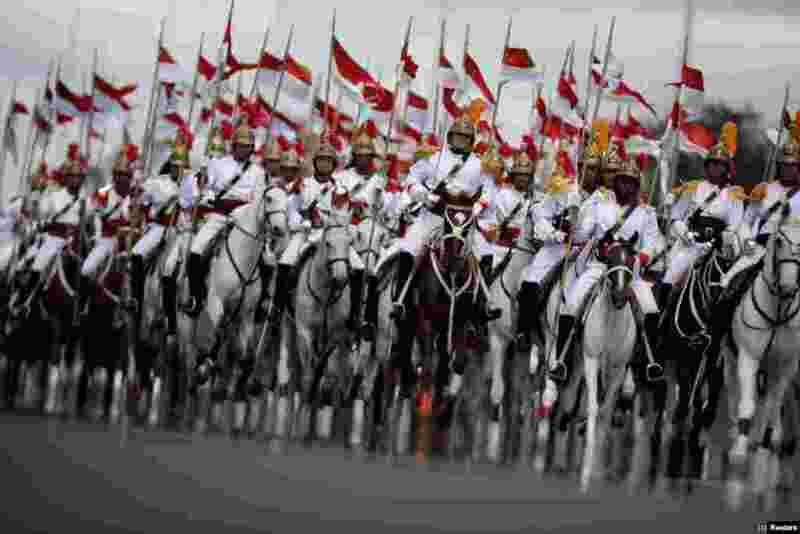 ٣ Brazilian soldiers of Armed Forces participate in a parade during an Army Day ceremony, in Brasilia, Brazil. 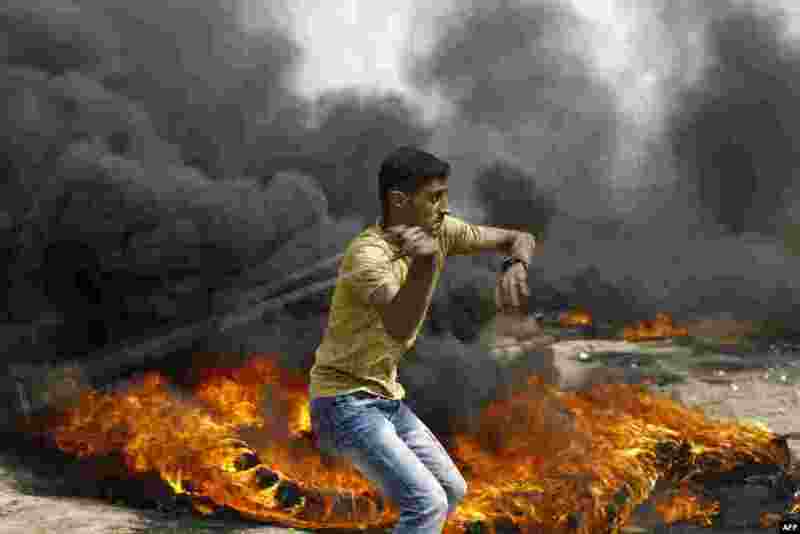 ٤ A Palestinian slings a shot by burning tires during clashes with Israeli forces across the border, following a demonstration calling for the right to return to Israel, in Gaza City.